Flashback 2008: To Maintain Our History, Global Spa and Wellness Blog Has Migrated to Wellness Tourism Worldwide! 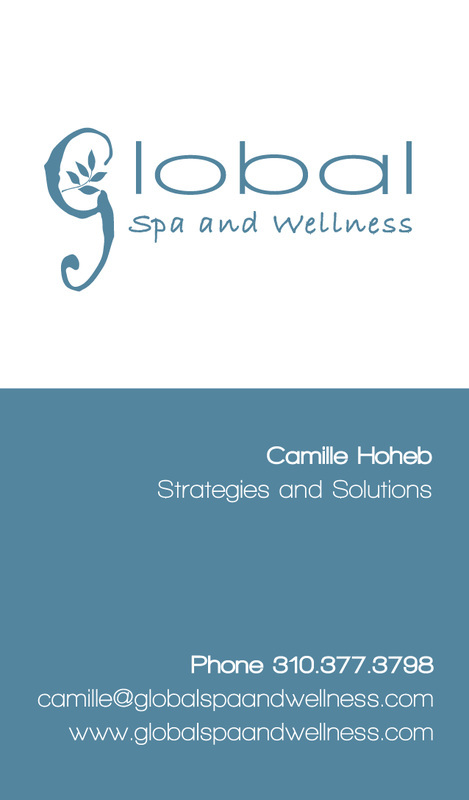 Before we became Wellness Tourism Worldwide, we went under the name of Global Spa and Wellness, as a consultancy starting in 2008. It's hard to believe we referred to ourselves as GSW. Sound familiar? We've migrated much of our information to this site so it would not be lost. We thought it was important to maintain some of our history; especially since it seems our chosen names (both Global Spa and Wellness and Wellness Tourism Worldwide) have proven to be quite popular! You might also enjoy another blog that was published from 2009-2012 under our Global Spa and Wellness moniker through blogspot. There's some really interested articles housed there. Check it out! If you are interested in reading copy more about our history as Global Spa and Wellness, click here. If you'd like to read our current Wellness Tourism Worldwide blog, click here. Don't try to reach me at this number! U.S. residents are invited to participate in an online survey, What Motivates YOU to Travel. As incentive for participants, travel prizes will be awarded to individuals who complete the survey. The grand prize winner will receive a three-night stay in an oceanfront guest room at the luxurious Terranea Resort – a lush, 102-acre escape located south of Los Angeles on one of Southern California’s most coveted coastlines. One lucky winner will be awarded a Roam Ride’s Vespa tour of South Beach, while six other winners will each receive a Kuhi Comfort Travel Pillow and five winners will receive skincare travel kits from KleanSpa. While research on topics such as wellness, happiness and quality of life has flourished in recent years, there been an absence of information and focus on US consumers, their travel motivations or perceptions of wellness. The grand prize winner will receive a three-night stay in an oceanfront guestroom at the luxurious Terranea Resort – a lush, 102-acre escape located south of Los Angeles on one of Southern California’s most coveted coastlines. One lucky winner will be awarded a Roam Ride’s Vespa tour of South Beach, while six other winners will each receive a Kuhi Comfort Travel Pillow and five winners will receive skincare travel kits from KleanSpa. Respondents must be US residents and must complete the 15-20 minute survey in its entirety to be eligible to win prizes. Researchers will summarize the data in aggregate and all responses will be kept confidential. Wellness Tourism Worldwide is the only organization fully dedicated to improving well-being and economic development through travel by providing research, education, development & promotion to travel sellers, travel providers & industry stakeholders. The great thing about travel is your always learning something new. While in Ourense, Spain, the new discovery was about mineral water sommeliers and competitions. I wouldn’t have known this had I not met Manuel Atunes Da Silva, Director of Quality for Mineral Water at Unicer , the largest Portuguese beer producer (Super Bock!) and also holds assets in the mineral water business. There brand is Pedras Salgadas which won an award at the Termatalia event. Here’s a bit of history: The source of Agua de Pedras was found during the Romans period and some historic thermal ruins still can be found in the area today. In the 19th century, the Kings and Queens of Portugal visited Pedras Salgadas during their holidays and in 1871, a renowned Portuguese doctor identified the excellent characteristics of the water which continues to make history today. Pedras has unique natural properties. The natural mineralization process is enriched with minerals that are said to replenish the body, help digestion and enhances the natural flavors of food, much like wine. Água das Pedras has won many awards, the first of which was in the International Exhibition in Vienna, Austria, in 1873, and most recently, it waas awarded by the International Taste & Quality Institute among others. What makes it so special? The water is sourced from rain and melting snow in the mountains of Trás-os-montes and is naturally carbonated. So the next time you are offered mineral water…know that it is more than carbonated water in a bottle. Drink up and to your health! It was a pleasure being invited to speak at this year’s Termatalia event in Ourense, Spain. This is a unique venue that brings together roughly 2,500 spa and wellness professionals from 35 countries and thousands of interested consumers. There is really nothing comparable in the US or that I know of abroad. Global Spa and Wellness in concert with Wellness Tourism Worldwide was pleased to have two booths with USA representation from the following Convention Bureaus and Chambers of Commerce: Hot Springs, Arkansas, Calistoga, California and well as the Starwood Hotel Brand and non-profit CreatActivity. Termatalia graciously provided a Spanish speaker representative for WTW to inform consumers on our partner services in the USA who could not have been more accommodating, pleasant, professional and informed. The speaker line-up was well-represented in both subject matter and geographical representation. I spoke on US Consumers as an emerging market to health and wellness tourism. You are welcome to download my presentation here. There was also education on mineral water and a sommelier to award the top tasting mineral waters. I did not know there were mineral water sommeliers (!) but I have to say, that I was interested to learn this. Our Termatalia and Ourense hosts could not have been more hospitable and the event was well-attended and well-organized. Ourense has a rich history and is seeking ways to develop and promote itself as destination for wellness tourism. I am delighted to announce the launch of Wellness Tourism Worldwide (WTW), an international trade alliance comprised of wellness and tourism businesses, organizations and institutions. Wellness Tourism Worldwide is committed to providing awareness, research, education and promotion of wellness tourism and well-being travel. Seeking to fully integrate all aspects of wellness in a cohesive and balanced manner without over emphasizing one or several of the eight domains, we do this through engagement from leading experts in tourism, hospitality, healthcare, spa, wellness and corporate health. Our website is LIVE! 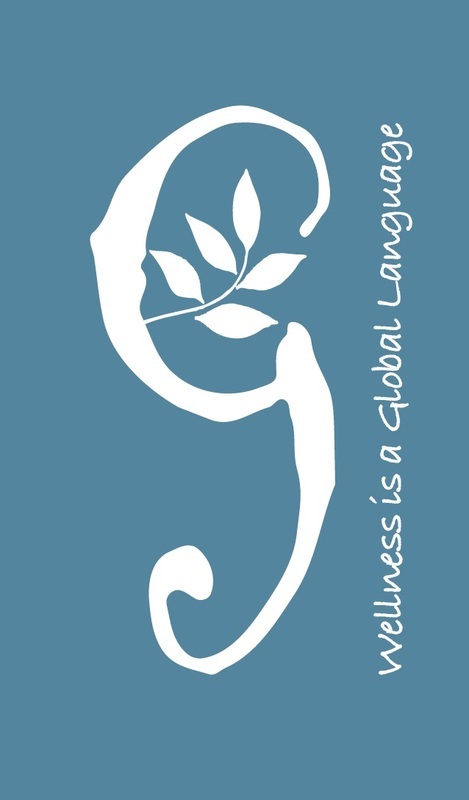 We invite you to peruse the pages of www.wellnesstoursimworldwide.com. WTW is on LinkedIn. Please join! This group was created as an open forum to encourage dialogue & interaction. Press release! The response has been positive! We are accepting media inquiries and interviews. Research! Watch for the release of the report, “4WR: Wellness, For Whom, What and Where Phase 1 – Medical Tourism Present”. The report will be posted to the WTW website in July. WTW activity is tangible evidence of our commitment to advancing the wellness tourism/well-being travel industry.Let’s knowledge share and increase our momentum. We welcome your feedback. Let us know where we can improve our efforts and activities. WTW: Join, follow & engage! I stumbled across a very interesting study that basically ties optimism to better health in a very tangible way. The study was one in a series supported by the Robert Wood Johnson Foundation’s Pioneer Portfolio exploring “Positive Health”, an emerging concept that people also have health ASSETS (not only risks), which can be strengthened to produce a healthier life. These health assets include biological factors (ie., high heart rate variability), subjective factors (ie. optimism), and functional factors (i.e.) stable marriage. Researchers looked at the association between psychological well-being—specifically, emotional vitality and optimism—on CHD in middle-aged men and women. The participants were 7,942 British civil servants in the Whitehall II study measured at baseline and five years later. Emotional vitality was defined as active engagement with the world, effective emotional regulation and an overall sense of well-being. Optimism was assessed by participants rating themselves on a scale of 1 to 6 in their response to the statement: “Over the next 5–10 years I expect to have more positive than negative experiences.” Numerous cardiovascular risk factors were measured including smoking, alcohol consumption, exercise, fruit and vegetable consumption and blood pressure/metabolic factors. The researchers found that greater emotional vitality and optimism both were protective factors against CHD. Metabolic factors did not alter this finding, which was similar for men and women, and for individuals younger and older than 55. Positive psychological well-being, desirable in itself, is a potential health asset that may have far-reaching consequences for cardiovascular health. The emerging concept of Positive Health explores these questions and more to identify potential health assets associated with a healthier and longer life, lower health care costs, and improved prognosis when illness strikes. Art therapy, pet therapy and prayer are three healing therapies that I would like to see more research, more programs, better access and more promotion. There were some great studies done on the power of prayer - found on the National Institute of Health website, under NCCAM. Art therapy has been around since the 1930’s and has been used in hospitals, private practice, community agencies, educational institutions, businesses and wellness centers. We are seeing more art in hospitals and healing environments and there is a reason for that. Art therapy is used for a variety of conditions and is a complementary therapy that is said to improve psychological and physiological states. The study was designed to augment the Warrior in Transition Advancement Program. Warriors are enrolled in WINTAP as part of their occupational therapy and take a series of classes focused on further developing skills to manage stress and anger; build communication skills and relationships; maintain healthy living and increase organization and time management. By augmenting the current occupational therapy life skills classes with dogs, researchers will be able to provide data that will possibly add to the current success with WINTAP. I am a firm believer in the various dimensions of wellness and quality of life indicators that go beyond the simple “mindy/body” mantra. Wellness is a continuous process that includes more than exercise and nutrition. The more we understand connecting the dots in our daily lives translates into well-being, we will see better health and contentment individually and collectively – positively affecting individuals, families, communities, states and nations. Wouldn’t it be nice to see the next global report from the World Health Organization show better health and outcomes? The original Global Spa and Wellness blog.